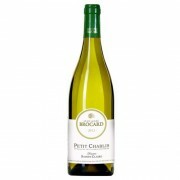 There is good freshness and a hint of iodine to the green fruit suffused nose. The supple and very round flavors are delicious and easy-to-like. Jean-Marc Brocard is one of the leading producers of Chablis, with an outstanding range of Grand Cru and Premier Cru wines. Chablis is an histori..
Cave de Tain is an Hermitage specialist with a range of great quality and excellent value northern Rhone wines. Located in Tain-l'Hermitage, at the foot of one of the world's oldest premium vineyards. .. Pale yellow color with green tints. The nose is of ripe summer fruits, citrus and spring flowers, fresh on the palate with white fruit aromas (pear, white peach). 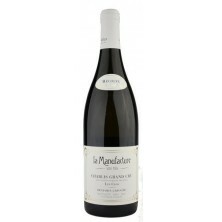 This is an easy-drinking, harmonious and crisp wine. 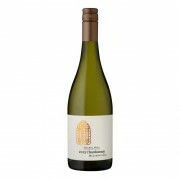 Cave de Tain is an Hermitage specialist with a range of great quality and excelle..
Tasting Note The 2010 Unwooded Chardonnay displays layers of guava, citrus and an evocative hint of ocean spray. The palate is luscious, focused and enduring. Winery Info Red five star winery. Founded in 1973, Chapel Hill is one of Australia's most respected and awarded wineries. Chappe.. 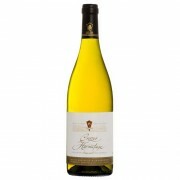 This Chardonnay reveals a greenish hue due to its bright yellow color. On the nose, the wine presents fruit aromas of Chilean papaya and citrus. The palate is fresh and fruity. 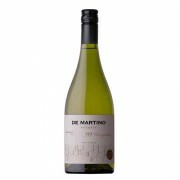 De Martino winery was founded in 1934 by Pietro De Martino Pascualone, who arrived to Chile from Italy in search of a pl..
Beautiful pale gold in colour with shades of green, its aroma blends fruits as pineapple and grapefruit. A fresh wine, fruity, with good body and balance, complex in mid palate, nice elegant long finish. 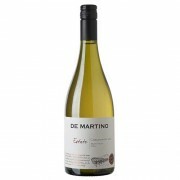 De Martino winery was founded in 1934 by Pietro De Martino Pascualone, who arrived to Chile f..